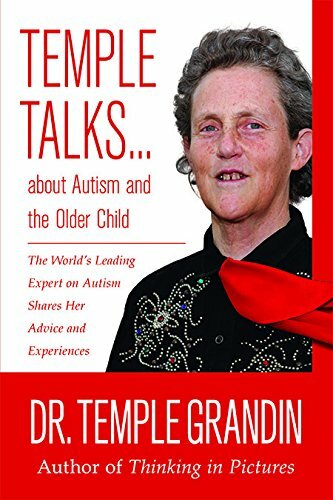 Book review by Kathy Kuhl Temple Grandin, Ph.D., has written a short book for parents and teachers of teens with autism. Based on her own experience as a successful woman with autism and an international autism advocate, Temple Talks About Autism and the Older Child is encouraging. Who is Dr. Temple Grandin? The world’s most famous autistic, Temple overcame a dire diagnosis through hard work—her own and her mother’s. When she was two, her mother was told that Temple had brain damage, would never speak, and should be institutionalized. Her mother didn’t listen to that expert. She worked very hard, hired other specialists and therapists, and helped Temple thrive. One summer, Temple’s parents decided she should visit her aunt on her Arizona ranch. Temple didn’t want to go. Her parents didn’t give up, but gave her the choice of a short or long visit. So she went. Temple became fascinated by the livestock at the ranch. She went on to work in the livestock industry, eventually receiving a PhD in animal science. Temple recommends insisting on some experiences to stretch your autistic teen, but providing choices, as her parents did. Temple designed half of the livestock-handling facilities in North America, receiving many awards for providing more humane conditions. She also teaches at Colorado State University. Much of what Temple has to say is not only helpful for parents of teens with autism, but useful for almost any parent to consider. Below I share a few highlights from this collection of essays. Textbooks and video instruction are poor substitutes for hands-on learning. Temple recommends building with real objects and going out into the world of work. Like other scientists, Temple knows that kids need to build with real objects. Stacking pictures of blocks on a screen is no substitute for handling real blocks and objects. Our kids learn so many elementary concepts when they handle, sort, and build. We can apply this concept to older children. Hands-on activities develop dexterity as well as job and life skills. This can be very satisfying and can build confidence. As a teen, I designed and created bead jewelry on a loom, sewed some of my own clothes, and embroidered elaborate designs on jeans. Photo realistic visual: good at art, photography, industrial design, computer graphics. Pattern thinker: good at math, computer programming, engineering. Word thinker: good at writing. Often loves history. Appropriate jobs would be journalist, fiction writer, and other writing jobs. Auditory learner: learns best by hearing rather than reading. Additionally, she explains that there are two kinds of visual thinkers. The first thinks in photorealistic images, like Temple. (Elsewhere she’s often described her thinking as being like a Google image search, but much better.) Other visual thinkers think in patterns, like mathematicians and engineers. She discusses the research supporting this in her book, The Autistic Brain. These thinking styles are important for parents and children alike. Understanding our children’s mental strengths and helping them to understand those strengths as well is key to their success. Training our kids to have good manners is another key to success. Temple describes how her parents explicitly trained her to greet guests at their parties, to take coats, and to serve snacks. She encourages parents to insist their children practice these basic social skills, like shaking hands and introducing themselves. She believes that many of her college classmates would have been labeled with autism today, but that they were never diagnosed. Instead they successfully got and kept jobs. Why? In part because “in the 1950s and 1960s social skills were pounded into every single kid.” (Loc 87) Their autism was simply less visible. Temple Grandin and Sean Barron wrote a useful book for teens on the spectrum and others struggling with social cues. 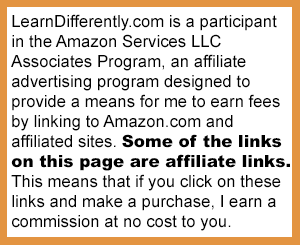 See below for a link to my review. Reading Temple Grandin’s work has value in two ways. Her range of insights, decades of work experience, intelligence and reading on autism make her worth paying attention to. Even when the text is slightly repetitive, she earns a hearing. But equally important to me is her example. It encourages me to see a woman who has battled autism, who has struggled and persevered in the workplace. It encourages me to see a woman with autism giving of herself so tirelessly to help others with autism. I think it will encourage parents of teens on the spectrum, too. Please share your favorite resources for teens on the autism spectrum, or for raising them, in the comments below. Thank you. Awesome review. I’ve seen references to this book in lots of places. I never knew the story. Thanks for the insight.